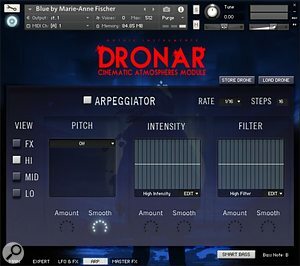 Gothic Instruments' Dronar series of atmosphere-creation tools for Native Instruments’ Kontakt has been enormously successful. Now, the UK brand have released the fifth module in the series entitled Cinematic Atmospheres — a collection of effects created by Hollywood trailer sound designer Alessandro Camnasio. Made with media composers in mind, the sound set is geared towards mystery, horror, sci-fi and thriller genres. Dronar’s engine is designed to be simple enough that complex sounds can easily be generated, but an advanced view also opens up a world of expert control, turning it into a “vast modular multi-timbral synth/sampler with multiple independent arpeggiators” say Gothic Instruments. 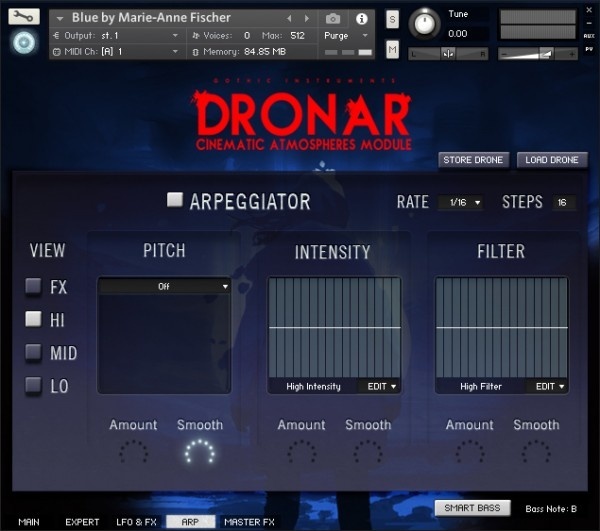 Dronar: Cinematic Atmospheres is available to buy now with an introductory discount of 20% until October 10th.